When you think about SUVs, no matter how small they are, one thing that probably doesn’t come to mind is ants. Well, it seems GMC is looking to change that with its new “Strength of an Ant” commercial. “Few others on earth can rival the strength of an ant relative to its size,” narrates actor Will Arnett over nature-show like footage of the diminutive insects carrying leaves as they scuttle across a branch. “Until now.” Cut to a 2018 GMC Terrain zooming across a bridge and through a tunnel. Wait, a Terrain? The comparison seems more apt for, say, a smart car or a Chevy Spark. The Terrain isn’t exactly tiny or ant-like. 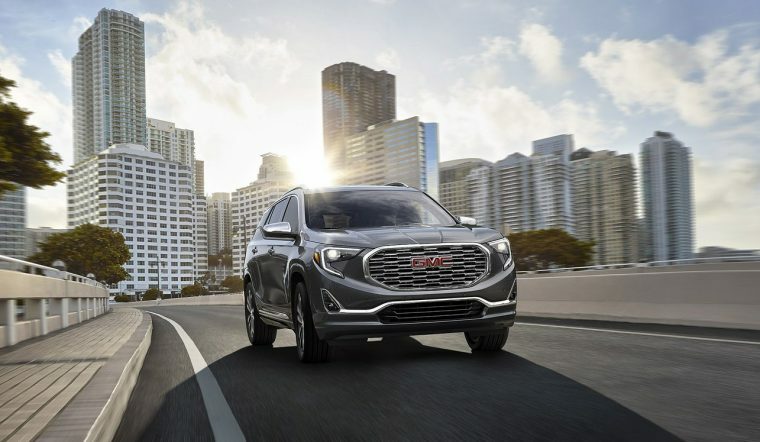 Whether or not the Terrain is truly ant-like, it is one of the better compact SUVs out there, with a spacious maximum of 81 cubic feet for cargo, plus a turbo engine option that puts out 252 horsepower and can tow up to 3,500 pounds. All-new for 2018, it’s also one of GMC’s hottest-selling vehicles, with sales up 30.9 percent over the same period last year. This commercial came out around the same time as Marvel’s new Ant-Man and the Wasp movie, and we suspect that’s not a coincidence. Also, the 0 percent financing and $199-a-month lease options offered at the end of the ad are a good way for dealers to clear some room for the 2019 GMC Terrain, which should be arriving in showrooms later this year.